New iPad: Worth the upgrade? I’ve bought each generation iPad: iPad (AT&T), iPad 2 (Verizon), and now the 3rd generation iPad with Verizon LTE. 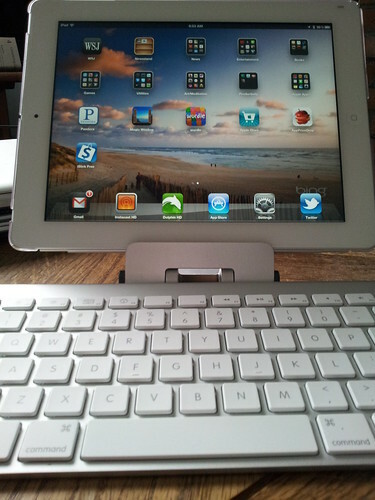 I’ve found the new iPad especially useful now that I’ve added a zagg folio keyboard case. It’s protective while not adding alot of bulk and weight. And perhaps best of all? The keyboard isn’t cramped and I can actually type accurately using it. Aside from the great quality the zagg folio offers, it also comes in great color combinations: I have the blue cover with white keyboard on ordeThe 3rd generation iPad feels like the iPad I’ve always wanted, and I’m thrilled to have it. If you’re near an Apple Store, highly recommend visiting to see the new iPad for yourself.